Ever since we bought the all new AppleTV, we’ve been watching a lot of YouTube videos. Naturally, I searched photography and found zillions of videos and channels dedicated to it. I have posted the links to some of the better known photography channels on the sidebar of my blog. One of the channels that I find totally hilarious (in a dry British/Chinese kind of way), is DigitalRevCom. They do all kinds of crazy videos and more serious camera/lens reviews. It’s a lot of fun! One of their videos that I watched last night had to do with a comparison of camera bodies and lenses. What’s better? A pro camera body with crappy glass or a cheap camera body with awesome glass?! I’d highly recommend you watch the video to find out! Or, I’ll just tell you the right answer. 😉 It’s always glass. ALWAYS. Lenses are always a better investment because you have them for years whereas bodies change all the time. Most people get sucked into the “bigger mega pixel count” = better game. It’s simply not the case. In fact, one theory I heard recently is that the more megapixels you have the more chance there is for blurry images because the slightest of movement can be captured by the higher/finer megapixels. It could make for crisper shots in good light, but in poor light, it might actually make the shot worse – or at the very least, require the *need* for faster glass. Anyways, it’s an interesting idea. And, the video is great. Check em’ out!! 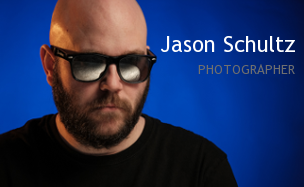 This entry was posted on January 21, 2011 by schultzphotographic. It was filed under Lenses and was tagged with DigitalRevCom, Lenses, Photography, YouTube.